As you examine your windshield, you discover a chip which could quickly turn into a full-on crack if you don’t take care of it soon. 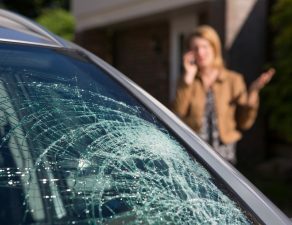 Each year, 7.5 million drivers file insurance claims because of damage to windshields. 80% of windshield claims are due to glass damage on the front windshield. As drivers, we make huge investments in our vehicles and our insurance. We take our time in choosing the perfect car or truck for our needs. Then we compare insurance companies to ensure we have the best coverage for the best price. We hope we never need to use our insurance, but when we do we risk our rates changing because of an insurance claim. In addition to these initial investment costs is the maintenance our vehicle needs. New tires, oil changes, and engine checks all add to the cost of our investment. But we continue investing in our vehicles because we value and need them. We do our best to practice safe driving, but we can’t control every roadway obstacle. 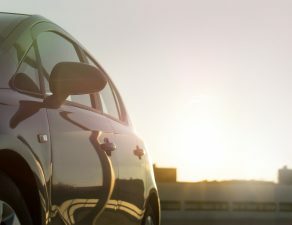 Chips and cracks in our windshields may seem completely unavoidable, but there are ways to reduce the damage or avoid it completely. 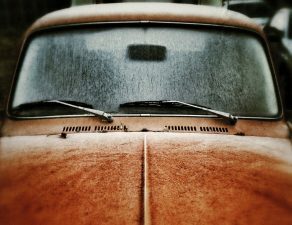 Read on to learn how to protect your windshield from rocks and roadway debris that could damage your vehicle. 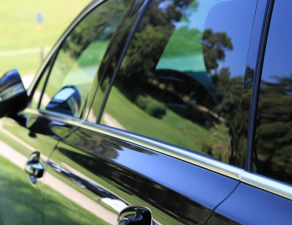 Protecting your vehicle and the people inside is your number one concern. 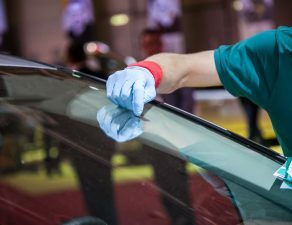 While rock chips and cracks are aesthetically displeasing, they can also lead to bigger, more costly problems. 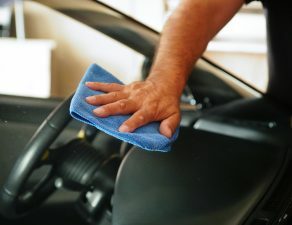 Explore the following tips for protecting your vehicle on the road to prevent glass windshield damage. When you drive the speed limit, the impact of rocks and debris is lessened. If you can, drive five miles an hour below the speed limit. By driving slower, you can also assess where rocks may be coming from before they hit your vehicle. Tailgating a vehicle is not only unsafe and annoying to other drivers, but it also increases the risk that your windshield will be damaged by rocks and debris. If a vehicle you’re tailgating kicks up rocks on the roadway, it’s likely that it will hit your vehicle before it has a chance to reduce its speed. If you weren’t tailgating a vehicle that was kicking up rocks, then the rocks would first be allowed to hit the ground first and then rest on the ground completely. Construction sites are notorious for debris and rocks. This is because construction workers and heavy vehicles are digging up rocks and then moving them around when entering and leaving the construction site. Orange cones and barrels seek to limit high-risk and safety areas of the construction site, but can’t possibly control the rocks and debris that exit the construction site. Do your best to avoid construction sites. This may not always be possible, but it’s likely that another route does exist. If you must drive through a construction zone make sure to keep distance between your vehicle and the vehicle in front of you. Drive slow as well to ensure the safety of your vehicle’s windshield and of the construction workers on site. Hefty fines, tickets, and potential legal trouble should also deter you from driving too fast in a construction zone. Highways are a great way to get somewhere quick, but if you have a short distance to go, take the scenic route. Highways are high traffic areas and many rock chips occur on these roadways. High speeds also contribute to rock chips hitting your windshield. Semi’s and large trucks have more tires, which means more chances for a rock to go flying through the air and onto your windshield. Semi’s and large trucks should also always have mud flaps to reduce this risk, but this isn’t always the case. When in doubt and able, steer clear of a semi. Avoid driving behind a semi and especially anywhere close to them. If you can travel in another lane and get in front of them to avoid any problems that could arise. Even traveling beside a semi could be dangerous to your windshield, so always attempt to be in front of them. If you must travel behind a semi make sure to keep a safe distance and drive at slower speeds. Whenever possible, avoid gravel roads. Gravel roads are made up entirely of rocks which increases the chances that your windshield will be cracked. 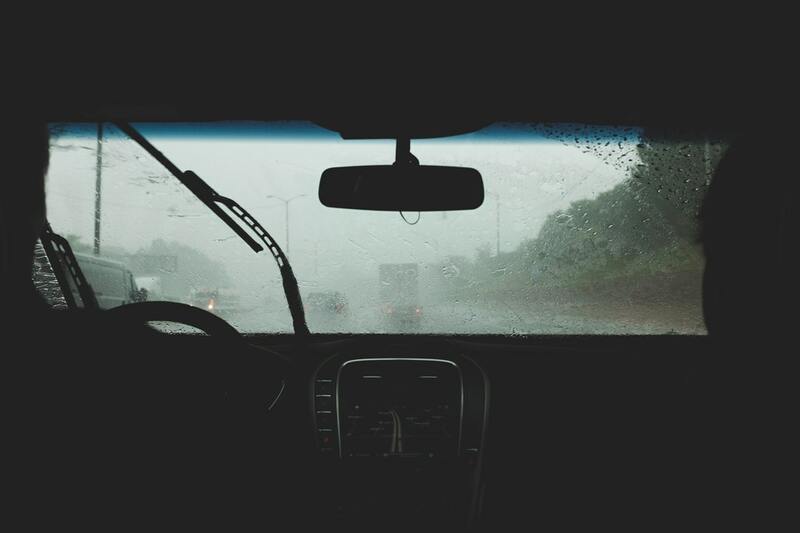 Other drivers may also not adhere to the speed limit, which can easily cause your windshield to be hit by their passing debris. If you must travel on a gravel road, drive very slowly. Trains on train tracks can easily kick up rocks as they pass by. Avoid traveling near or parallel to train tracks if you can. When sitting at a train track waiting for a train to cross, keep a healthy distance between your vehicle and the track to avoid rock and debris. Chips in your windshield are easier to fix than cracks. If you notice a chip in your windshield, then immediately get it fixed. Chips or small cracks in your windshield can easily turn into cracks which could mean an entire windshield replacement. Replacing an entire windshield is much more costly than repairing a chip in the windshield. Some chips may require a full windshield replacement, but getting the windshield checked out quickly may prevent additional costs. As drivers, we know to expect the unexpected. But, when we prepare in advance for obstacles we feel more confident and at peace knowing that we did our best to keep our investments and ourselves safe. 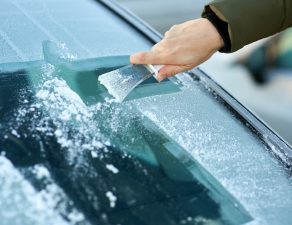 By following the tips outlined above, risks to your windshield such as cracks and chips can be avoided or at least reduced. Need your windshield repair? 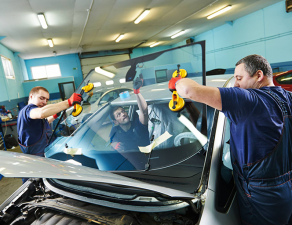 Learn more about windshield repairs and get a free quote today! 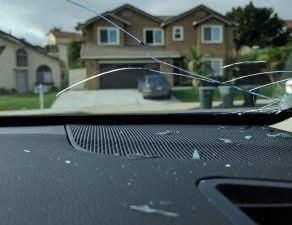 Cracked Windshield vs Replacement: Which Do You Need?